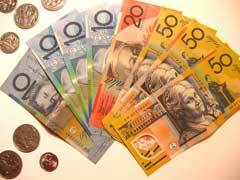 Why should American investors choose Australian government bonds? For a number of reasons, including a higher return than what can be found with United States savings bonds in most cases and international investment exposure in your portfolio. Both bonds have been rated as AAA, which make them the best investment grade possible and show a high level of security. Australian government bonds offer an interest rate which is higher than what can normally be found with US bond investments, and the economy of this country is stable and well developed. Unlike a foreign investment in some smaller or less developed countries, with bonds from the Australian government there is no political uncertainty or high degree of risk involved. Canadian government bonds are currently averaging an interest rate of three percent or less, in part because of a weakened global economy. In contrast the interest rates for Australian government bonds right now is averaging around five percent, two to three times what the Canadian government is offering. Both of these government bond markets offer a high amount of liquidity, and have exceptional credit ratings as well. The same is true with German government bonds, and a number of other foreign countries. Australia is offering higher returns though, with the exception of Germany which has comparable interest rates offered on some maturity lengths. A benefit for US investors with Australian government bonds is that information is available in English with no translation required. English is one of the main languages spoken. So there is no communication barrier while you are researching or making a bond purchase. With Japanese government bonds, and some other foreign governments, political unrest or a different government type may give investors pause. These are not an issue with Australian government bonds, and the legal system and financial oversights are very similar to those in the USA. The yields are higher, and the risks are lower with Australia if you want to add an international bond investment to your portfolio.